A watch that was flown to the moon was sold by Christie's for nearly a quarter of a million dollars to the watchmaker's own museum. The Speedmaster chronograph sold on Tuesday for $245,000 to the Omega Museum in Switzerland. "Apollo 17 astronaut Ron Evans' Omega has been sold to Omega Museum!" Omega announced on its social media accounts. "As expected for a timepiece worn on the moon, it fetched the highest price ever for a Speedmaster at an Omega-themed auction at Christie's in New York." The Speedmaster chronograph flew to the moon and back on the Apollo 17 mission 43 years ago this week. Today, the watches from the other Apollo 17 astronauts reside in the Smithsonian's collection, transferred there by NASA after Apollo ended in the 1970s, along with most of the other astronauts' Omega timepieces. Evans, though, was able to pocket the experiment's watch as a souvenir of his trip to the moon. A law passed in 2012 further confirmed that the Apollo astronauts had legal title to the flown spacecraft equipment they kept as mementos. Evans used an engraving tool to hand-inscribe the watch to reflect its mission use. He wrote, "Ron Evans / Flown in CSM / to the moon/ Apollo 17" on the caseback and "6-19 Dec 72 Heat Flow Exp" on its side. After his death in 1990, Evans' widow held onto the watch for almost two decades before initially putting it up for sale. In 2009, the Omega sold to collector Riccardo Bernard for $23,900 at an auction in Dallas. Bernard also bid on and won Evans' flown Velcro watch strap (used with his NASA-issued Omega during a spacewalk) and a flown space pen for $11,950 and $3,226.50, respectively. Christie's offered all three artifacts as one lot in its Omega Speedmaster 50 sale held on Tuesday. The high bid (and buyer's premium) of $245,000 is more than six times what Bernard paid for the watch, strap and pen six years ago. This is a condensed version of an article from collectSPACE.com. Read the original story here. Follow collectSPACE.com on Facebook and on Twitter at @collectSPACE. 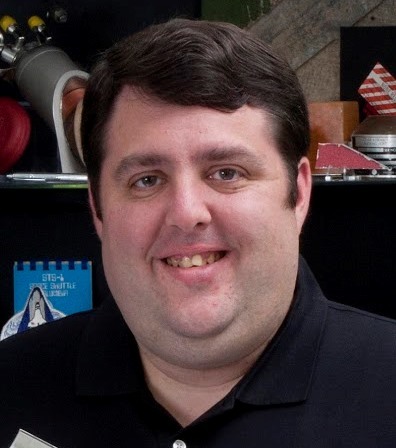 Robert Z. Pearlman is an American space historian and the founder and editor of CollectSpace, a website devoted to news and information concerning space exploration and space-related artifacts and memorabilia.